The leaders you elect this Tuesday will make important decisions that affect your community and state. This year we are seeing historically high participation for a midterm election. I encourage you to take the time to talk with your family and friends about the importance of voting. You can make a difference. Like you, I occasionally hear from people asking why they should even bother to vote. I understand these concerns and want to take a couple of minutes to directly respond to them. Some people don’t like any of the candidates. They feel like politicians don’t share their values, don’t listen to them, and don’t even communicate with them until they are running for office. I’ll be the first to acknowledge that no candidate is perfect. But, each contest represents an important choice about what future you will choose. Please don’t let your desire for a perfect candidate prevent you from choosing which candidate you believe will be better for our state. Some people doubt that their single vote will decide an election’s outcome and think voting is a waste of time. Yet, we have seen many races that are decided by only a few votes. In the primary election this past spring, one contest was determined by only two votes. Another contest was tied and had to be decided by a dice roll. You can multiply your influence by encouraging your family and friends to vote, too. You live here, work here, play here, dream here, raise your family here, and more. You should vote. Some people say that voting is just too confusing, and they don’t want to vote if they don’t know how to vote. The best source for information about candidates and measures is the official Oregon Voters’ Pamphlet, which allows you to hear multiple perspectives. You can also ask your family or friends what they think about a candidate or ballot measure. Some people are frustrated by political smears and negativity. I agree, but declining to vote won’t help. The only way that civil discourse will improve is by one person at a time stepping up. I have done my best to use the megaphone of the Secretary of State’s office to encourage civil discussions and good governance for the benefit of all Oregonians. Please add your perspective in a respectful manner. One-by-one, we can be the positive change. I encourage you to vote. Remember, ballots are due by 8:00 pm this Tuesday, November 6. Please return your ballot to an official ballot drop box. You can find nearby drop box locations at oregonvotes.gov/dropbox. 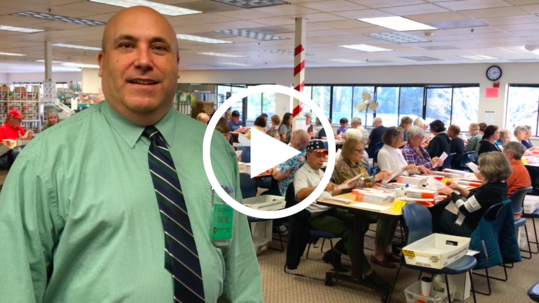 Watch the Nov. 2 Election Daily Report – What Happens After You Drop Off Your Ballot? You can also check out the Nov. 1 Election Daily Report – Election Security. Thank you in advance for fulling your civic duty to vote and for encouraging your family and friends to vote. Your community needs your voice.